Taekwondo is an exciting & powerful martial art know for dynamic kicking & hand techniques. Although these martial art techniques are centuries old, our programs are always evolving to keep pace with the rapidly changing world. 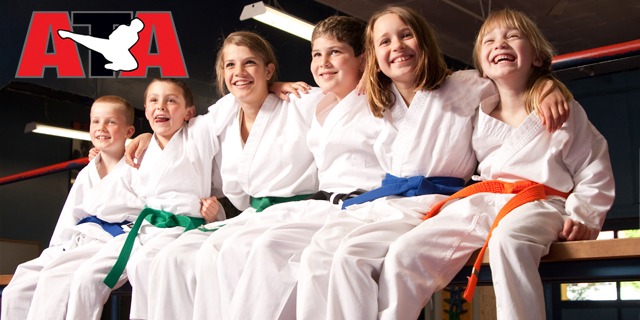 We realize that each student possesses different physical abilities. Size & strength vary with each individual. Once you have acquired a strong foundation in the basics, our program will enhance your physical capabilities & maximize your self-defense skills. You will understand exactly what it takes, mentally & physically, to defend yourself or your loved ones should the need ever arise. Interval training is the single most effective type of high intensity training, its also the most intense by far, and, surprisingly its the shortest in duration. Tabata Interval training was discovered by Dr. Izumi Tabata and a team of researchers from the National Institute of Fitness and Sports in Tokyo. Dr. Tabata discovered that this kind of interval training produces much better results than aerobic training. In fact in the study the subjects increased their anaerobic capacity by over a quarter as well a substantial increase in their aerobic fitness. This makes it a very versatile program; you can use Interval Training for weight loss, muscular endurance & strength training. Every punch, every kick, every yell is self defense practice. You might not realize it, but the simple techniques that you practice in class, increase your confidence, control and ability to defend yourself if the need should ever arise. You learn throughout your training where the vital points on the human anatomy are. These are the targets you use to perfect your techniques. Learning these points comes with forms practice, because each strike, punch or kick is aimed at one of these points. So if you never specifically take a "self-defense" class, your Taekwondo training has prepared you. It will become part of your sub-conscious. You will probably start by memorizing techniques. But consistent attendance in class and practice of the techniques will soon lead to developing effective responses to whatever situation you find yourself in.